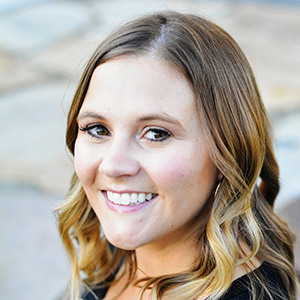 Don’t miss out on the Whimsy Couture Giveaway! The fall is pretty much dedicated to pumpkin recipes–so I was on the search for a yummy Pumpkin Cupcake recipe! I turned to my new BFF Pinterest for some help and found this Pumpkin Spice filled cupcake recipe! To make these, mix the wet and dry ingredients separately, then combine and whip until smooth (about 3 minutes.) Pour about 3/4 full into cupcake liners and bake for 350 degrees for 13-15 minutes. Let them cool on a wire rack. Mix up the filling while you are waiting. Take a regular spoon and carve out a little well in the center of each cupcake. Then fill it to the top with the filling and smooth it out. Whip up the frosting. To make a pretty little frosted top, use a cake decorating bag with a star tip and go around in a circle, covering up the hole with the filling. 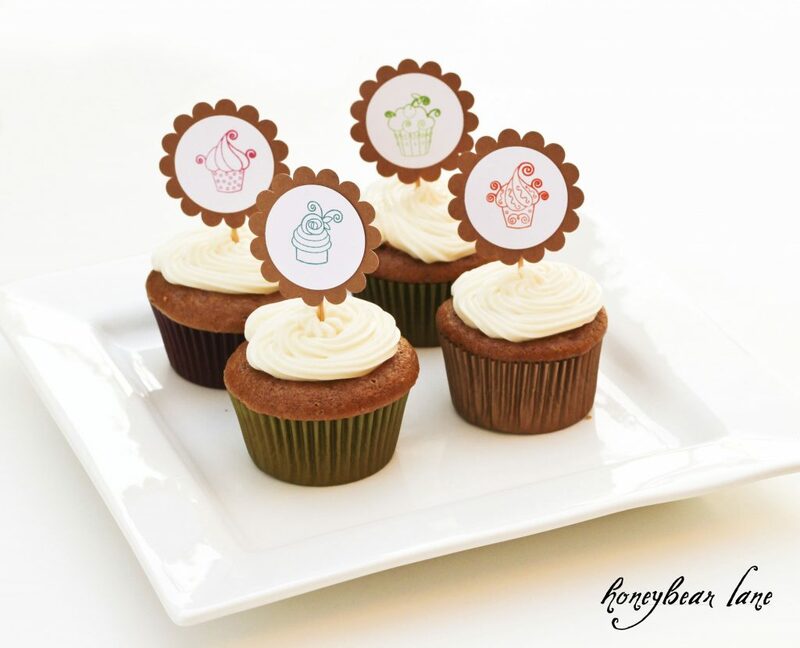 My cupcake toppers are some cute cupcake stamps from PSA Essentials. 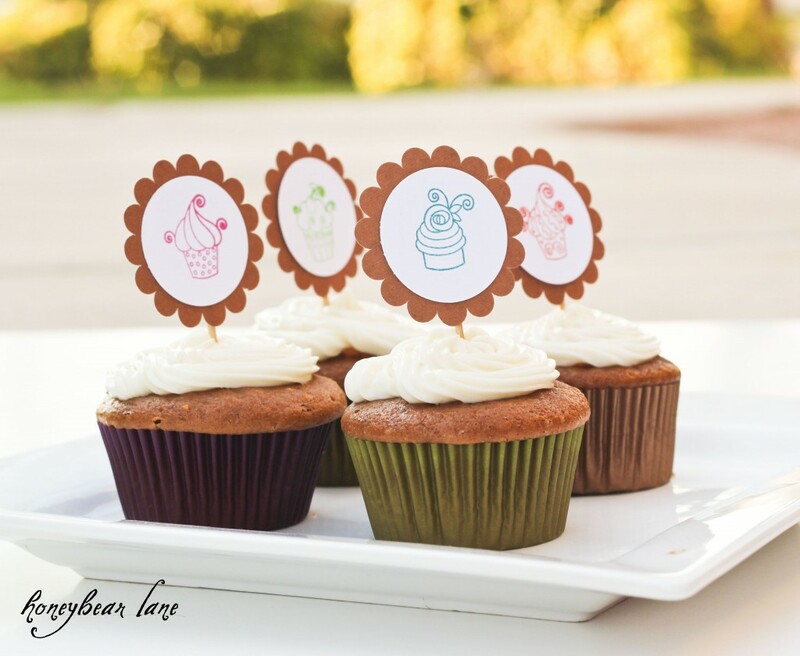 I love having cupcake toppers–they just make the little cakes seem so much more fun! These would be such a fun and different dessert to take to Thanksgiving dinner–especially for people who don’t love pie! And if you like these, you should check out my other Thanksgiving cupcakes! I’ve been dying to make these after finding them on Pinterest as well! I finally found the Jell-O mix and now I just need to grab a few of the other ingredients. Do they taste as good as they sound? Oh so cute! I love cupcakes. These look delicious.